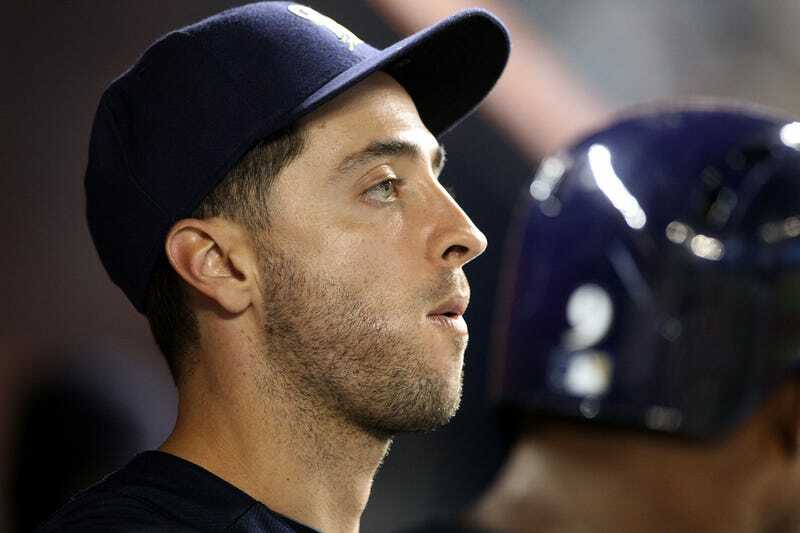 Despite Braun failing a drug test in 2011 (he successfully appealed his suspension based on the collector's mishandling of his sample), this suspension is entirely because of his involvement with Biogenesis, the South Florida clinic believed to have provided banned PEDs to a number of players. We don't know exactly what MLB believes it has—"receipts, checks, the whole nine yards," one source told Jon Heyman today—but ESPN, which first reported the suspension, says Braun waived his appeal. That's why Braun is the first to be sanctioned, when MLB initally planned to announce all the suspensions simultaneously. This lends an entirely new angle to this story, as other players await MLB punishment. You'll notice that 65 games is kind of an arbitrary number—that's because the commissioner's office is using an arbitrary standard to prosecute this case. Despite well-defined, agreed-upon procedures in the CBA dealing with PED violations (the familiar 50-game suspension for a first offense), MLB could be resorting to what Wendy Thurm calls the "nuclear option"—a "just cause" provision that allows players to be disciplined "for conduct that is materially detrimental or materially prejudicial to the best interests of baseball." There's no indication when we should expect rulings on the other players implicated with Biogenesis, all of whom have retained the right to appeal. But MLB and perhaps the union are eager to avoid a messy fight, and Braun's deal sends a clear message—if your team is out of the race, now might not be a bad time to take your medicine.